Hi, I'm building a portal engine site. I created a custom user control where my template(html block) is embedded then on the code behind I have an API call where I am assigning the data in my template tru innerText. 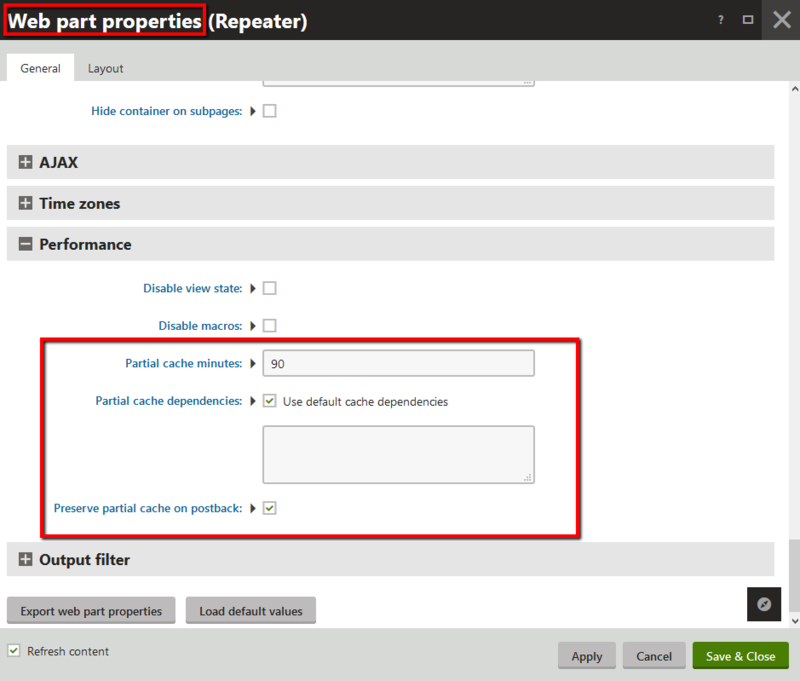 I then register this new user control in kentico and use in my web part zone. The problem now is after I change the API endpoint the old result from old API is still showing. Not sure if this is a caching issue with kentico. In my local instance data was updated but in staging instance it is not updating. 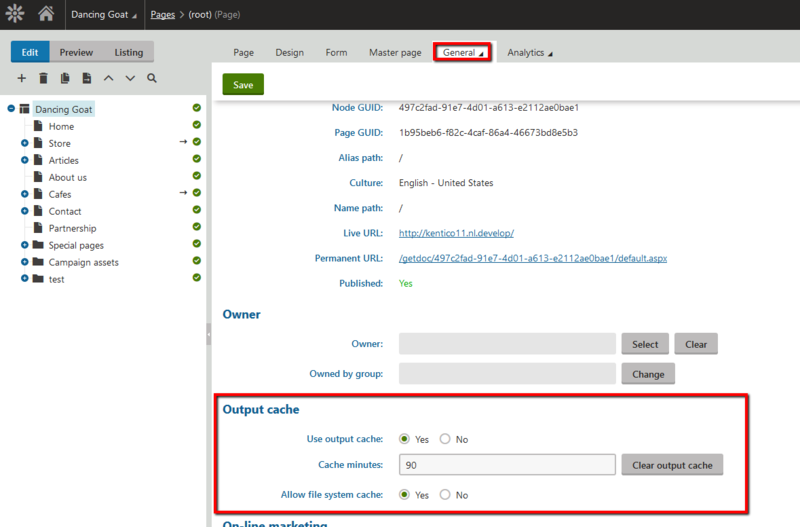 Output cache (full page) - caches the full HTML output of pages. Partial output cache - caches the HTML output of individual page components (web parts).